↑ Bizony, Piers (14 March 2011). 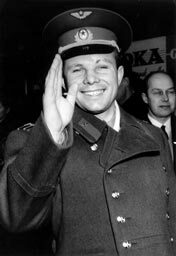 "First man of Space – the flight and plight of Yuri Gagarin". Engineering & Technology 6 (3).